When Victor Oladipo committed to Tom Crean and Indiana University in 2010, he wasn’t a prospect that raised many eyebrows in terms of a high prep ranking, nor of dazzling stats during his high school career. In fact, my own personal first impression of Oladipo was … meh. One analysis I recall when first hearing about the DeMatha High School (Maryland) product was “crazy athletic” and “great potential.” I had heard this before, and was less than enthusiastic. Tom Crean had brought in his first good recruiting class in 2009 with the likes of Christian Watford, Jordan Hulls, Derek Elston, and Maurice Creek. 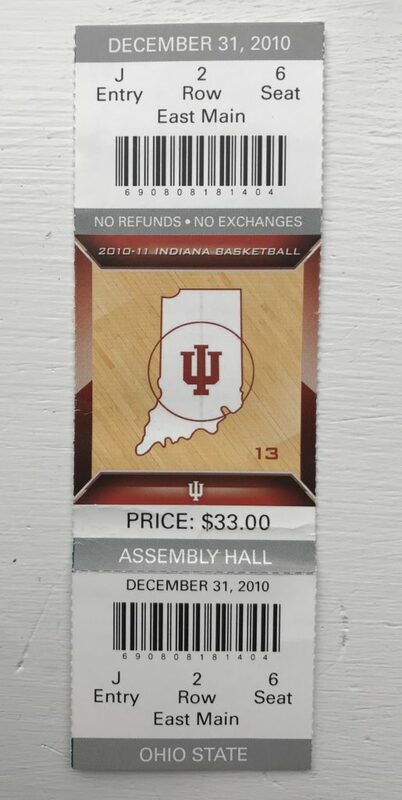 To many Hoosier fans (myself included), however, the look on paper for the 2010 class with Oladipo, Will Sheehey, and Guy-Marc Michel (ultimately ruled ineligible and never suited up for the Hoosiers) was not too impressive. Needless to say, those of us who were initially underwhelmed were proven very, very wrong. Victor Oladipo would leave Bloomington as one of the most revered Hoosiers, and one of the kindest, in recent memory. 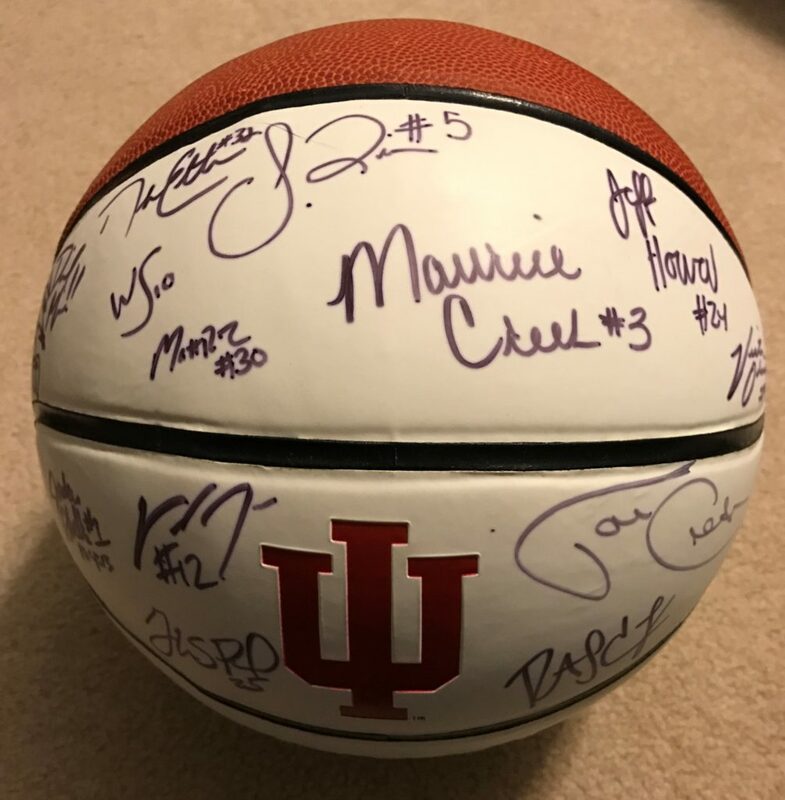 A 2010-11 Indiana Hoosiers team-signed basketball. Victor Oladipo’s freshman year. The 2010-11 Indiana Hoosiers — Victor’s freshman year — were not going to see major success. After all, Indiana was still in the midst of its biggest rebuilding project in program history following the Kelvin Sampson era. Even with more talent on the floor than Tom Crean’s first two IU teams, including the likes of Christian Watford, Jordan Hulls, and Maurice Creek, Indiana struggled to another losing season at 12-20 overall, 3-15 in conference play. Victor, as a freshman, displayed his athleticism from day one, but struggled with consistency on the floor. Shooting was never his strong suit out of the gate, but IU fans could see his defensive prowess and quickness during games. Victor would get his first ever start for the Hoosiers against Penn State in the Big Ten opener, and he responded with 14 points, four rebounds, three steals, and two assists. Starting his second consecutive game, Victor would again deliver another strong performance with 14 points and six rebounds. Ultimately, Oladipo’s freshman campaign resulted in a 7.4 ppg average. Not bad for the 144th-ranked player coming out of high school. In his second-ever start as a Hoosier, Oladipo delivered a solid 14-point, six-rebound performance vs Ohio State. Oladipo’s junior season was a step forward in terms of consistency and impact on the floor. Additionally, it would be an important season for the Hoosiers, who would improve by leaps and bounds in terms of wins and talent on the roster. Cody Zeller, the Washington, Indiana product, would commit to the Hoosiers and turn out to be the most important recruit for Tom Crean during his coaching tenure in Bloomington. With Zeller on the floor, adding in now-juniors Watford, Hulls, and Derek Elston, hot-shooting senior Matt Roth, and emerging sophomore Victor Oladipo, Indiana exploded for 27 wins, including a buzzer-beating victory over Kentucky on December 10, 2011, a defining moment in Indiana basketball history. Victor’s stat line in the UK game was impressive: 13 points, seven rebounds, an assist, and one block in 32 minutes. As much as Victor was beginning to improve on the offensive side of the ball, it was in many ways his defensive tenacity, and his ability to cause turnovers, that made him so valuable in games. Victor would co-lead the Hoosiers in steals, alongside Cody Zeller, and would also be named Big Ten Honorable Mention. He also appeared on the Big Ten All-Defensive Team. Indiana would finish fourth in the Big Ten Conference and earn a berth in the NCAA Tournament, where they defeated New Mexico State and VCU to reach the Sweet Sixteen. Victor was marvelous across the board against a tough VCU squad, going for nine points, five rebounds, and six assists in the 63-61 victory. The exciting season came to an end with a rematch against the Kentucky Wildcats (the eventual NCAA Champions), 102-90. Victor would score 15 and add 3 assists in the defeat. 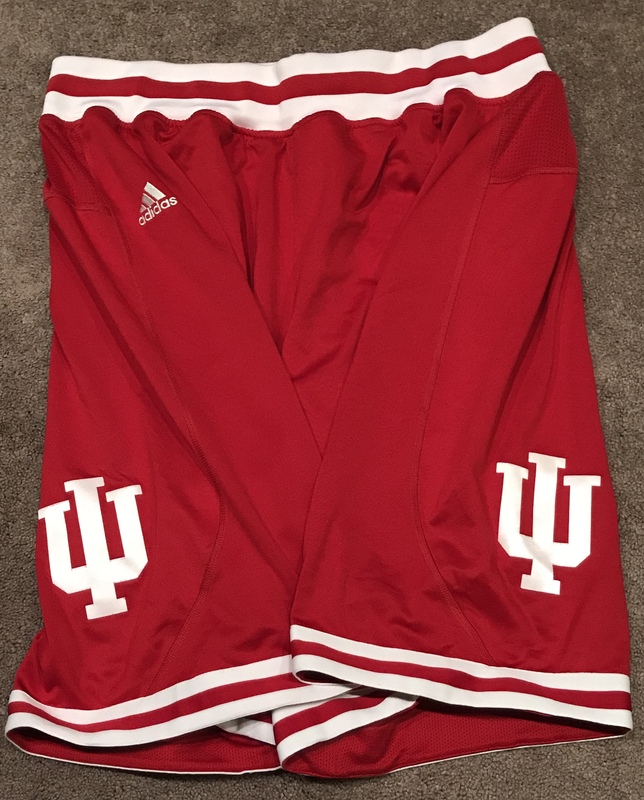 Team-issued away basketball shorts from the 2011-12 season. High expectations were in place for Indiana as the 2012-13 season was in sight. Indiana would be named pre-season #1 in country, a first for the Hoosier program since 1979. Victor, now a junior, was no longer considered a raw talent, but a seasoned veteran who was destined for a great season. To complement IU’s already deep team, Tom Crean had assembled a recruiting class, dubbed at that time “The Movement,” that created major buzz throughout Hoosier country. Four of the five recruits hailed from the state of Indiana, with the crown jewel being Yogi Ferrell from Park Tudor H.S. in Indianapolis — the #1-rated point guard in the country on most recruiting websites. To many veteran IU fans, the buzz around the 2012-13 Hoosiers mimicked much of what occurred in the months that lead to the start of the 1992-93 season. 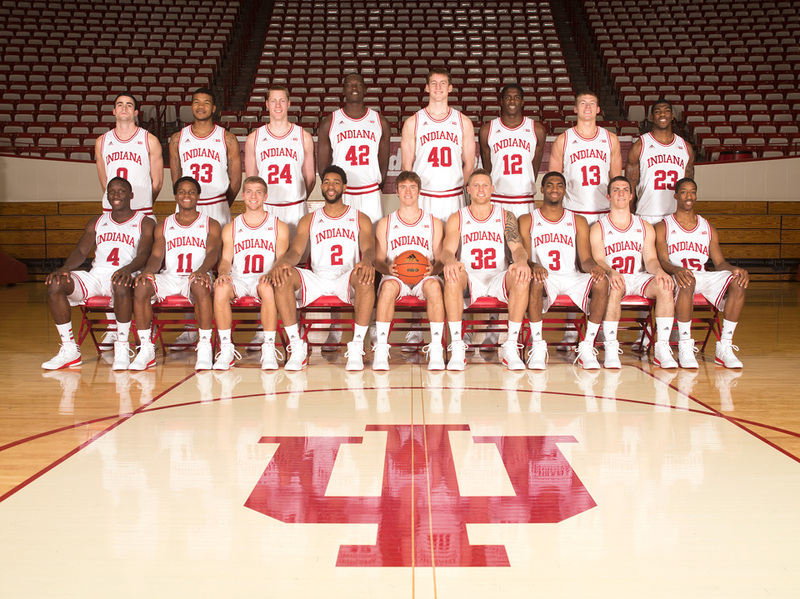 Your 2012-13 Indiana Hoosiers. Photo: courtesy of Indiana University Archives. Victor never flourished into a major scoring machine during his Indiana career. Following a 7.4 ppg game average as a freshman, VIctor would average 10.8 ppg as a sophomore. However, his ability to fill up the stat sheet in more than one category was a common occurrence, no more so than his junior campaign. In the second game of the season vs North Dakota State, Victor finished with seven points, eight rebounds, five assists and four steals in 27 minutes of action. In IU’s next game vs. Sam Houston State, Victor once again produced a balanced performance with 14 points, seven rebounds, four steals, and an assist. Indiana as a team would roll through the pre-Big Ten season, the lone exception being an 88-86 loss in overtime to the Butler Bulldogs. IU stood 12-1 entering conference play. The Big Ten season began strong for Victor with a 14-point, 10-rebound performance in IU’s victory over Iowa, followed up by a game-high 21 points, seven rebounds, six assists, and three blocked shots against Michigan State on January 27th. The biggest change in Victor’s game was not only his improved overall shooting (he would lead the league with an impressive 59.9% field goal percentage), but also the addition of a solid three-point game. Victor would shoot 44% from beyond the arc as a junior, up from a dismal 20% as a sophomore. NBA scouts were beginning to talk about Victor as not only a first-round pick, but a potential lottery selection. In addition to Oladipo’s consistent play, Indiana had a balanced attack that included Cody Zeller’s 16.5 ppg, Christian Watford at 12.3 ppg, and also the likes of senior Jordan Hulls at 9.7 ppg and Will Sheehey at 9.5 ppg. One of the big “what could have been” moments from the 2012-13 season. Oladipo was inches from converting an unbelievable ally-oop from Jordan Hulls during the Michigan game, February 2, 2013. IU stood at 8-2 overall in conference play following a devastating loss at Illinois 74-72, due to a defensive breakdown which led to Illinois big man Tyler Griffey slipping away to the basket unguarded and easily scoring just as the horn sounded. Four straight victories would follow over Ohio State, Nebraska, Purdue, and Michigan State. In the OSU victory, Victor scored a career-high 26 points, also adding eight rebounds and three assists. In the victory in East Lansing, in which Indiana would defeat Michigan State on the road for the first time since 1991, Oladipo would lead the Hoosiers in both points (19) and rebounds (9). IU fell to shaky ground over its next three games, going 1-2 overall, and faced some uncertainty with the regular season finale awaiting at Michigan. Indiana controlled its own destiny: a win at Michigan would give the Hoosiers their first outright Big Ten title since 1993. In a tight contest from start to finish, a late bucket by Cody Zeller put the Hoosiers up 72-71. Michigan had the ball and the chance to win the game with 13 seconds remaining, but Trey Burke’s layup, and a Jordan Morgan tip-in attempt, which seemed to hang on the rim for eternity, failed to drop, and Indiana prevailed. Victor was masterful in the victory with 14 points and 13 rebounds (his second double-double of the season), three assists, one block and one steal. Indiana’s early exit in the Big Ten Tournament sent the Hoosiers to the East Region as the #1 seed. Victories over James Madison and Temple set up a Sweet Sixteen matchup against Syracuse in Washington D.C. In a game where Indiana was never able to get comfortable, nor adjust, against the signature Syracuse 2-3 zone, the magical season would end for Indiana in a 61-50 defeat. It was a tough pill to swallow for Indiana fans, given the talent on that roster. Victor’s 16 points was one of the few bright Indiana bright spots that lonely evening in the nation’s capital. While being named National Player of the Year, Oladipo joined only Scott May and Calbert Cheaney to be bestowed with that honor. Two weeks after Indiana’s early exit from the NCAA Tournament, Oladipo announced that he would forgo his final season at Indiana and enter the NBA Draft. To Indiana fans, this was crushing, but not unexpected. It was no secret that Victor’s stellar play had placed his name high on many lists of draft predictions. 24 hours later, teammate Cody Zeller announced that he would be leaving Indiana as well for the NBA. Both would be lottery picks. I was present at the Indiana-Purdue game on January 28th, 2018 when Victor returned to Bloomington for the first time since leaving IU. Seeing him back on the floor where so many great moments had occurred was electric. The crowd went nuts. I had chills. Shortly after giving a pep speech, he exited the floor to his seat on the sideline, and graciously signed autographs and took photos. That didn’t surprise me one bit. I will always fondly remember Victor’s time in Bloomington in two ways: a relentless warrior on the floor, and an outgoing, modest young man off the floor, always there to greet one more fan.